Today’s Flash Back Friday comes from Episode 92, originally published in May 2012. 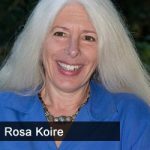 On this episode, Jason Hartman interviews author and Executive Director for The Post Sustainability Institute, Rosa Koire. This is an incredible interview regarding UN Agenda 21 Sustainable Development, a plan that was designed by the United Nations, signed on by George H. W. Bush in 1992, to inventory and control all resources, human and natural, including all means of production, land, and information resources. “There is no aspect of your life that is not impacted by U.N. Agenda 21,” says Rosa Koire, author of Behind the Green Mask. Listen for more details at: www.HolisticSurvival.com. Rosa describes this agenda as the biggest public relations scam in the history of the world, in which it twists public opinions so that we think we’re having some impact on the government plans that are being imposed on us, when in fact we do not. It’s affecting us now. Rosa provides some history on the origins of UN Agenda 21, a plan with the goal to ultimately create a world government. Many of the projects are happening already, such as transferring private property into public hands via a program called “Growing Smart.” It puts restrictions on the ability to use our private property. As with every other government policy, this is being done under the guise of protecting us and providing sustainability through political jargon. Rosa emphasizes that this is a plan to take control of us, our physical bodies, not just our real estate, and it is happening all over the world. Rosa talks about planners being taught how to deal with dissenters who are speaking the truth, schools putting sustainability principles into every course (indoctrination of our children), and exhausting our military with wars and drugging us for mental illness diagnoses. Jason and Rosa then cover land use and urban planning, where the goal is to move people into cities. Rosa also explains SmartMeters, municipal utilities, new appliances containing chips, smoking laws, people being watched and monitored, etc. This is an interview you don’t want to miss. Rosa Koire, ASA, is the executive director of the Post Sustainability Institute. She is a forensic commercial real estate appraiser specializing in eminent domain valuation. Her nearly 30 years of experience analyzing land use and property value enabled her to recognize the planning revolution sweeping the country. While fighting to stop a huge redevelopment project in her city, she researched the corporate, political, and financial interests behind it and found UN Agenda 21. Impacting every aspect of our lives, UN Agenda 21/Sustainable Development is a corporate manipulation using the Green Mask of environmental concern to forward a globalist plan.